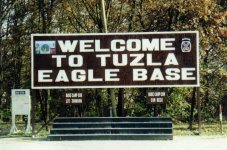 Tuzla was the headquarters of the 1st Armored Division (1AD) Task Force designated as "Task Force Eagle" (TFE). Comprised of over 19,000 soldiers, TFE was the US component of a force of 60,000 troops deployed by NATO to separate the warring factions in Bosnia. This peacekeeping effort, designated "Operation JOINT ENDEAVOR" (OJE), saw US soldiers, accompanied by Russian, Turkish, Polish, Norwegian, Danish, and Swedish troops, take up positions in the northern part of Bosnia (thereafter designated as Multinational Division-North (MND(N)) or the US sector). 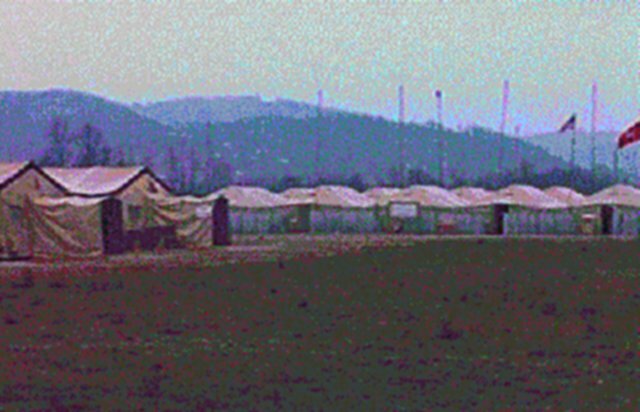 Tent City 1 in Tuzla Main, the Task Force Eagle headquarters, was the most traditional type of base camp in Bosnia. 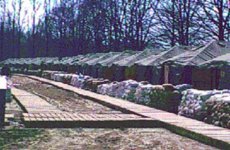 The dwellings are hardback, general purpose, medium tents with wood floors, sides, and frames. Boardwalks in most camps kept soldiers out of the mud. 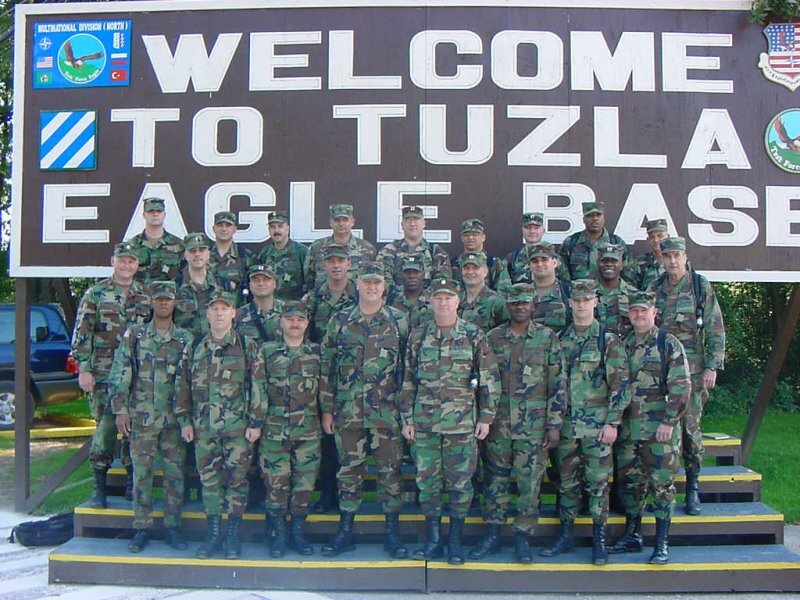 Task Force Eagle instituted a self-help program, which provided some materials for soldiers to build shelves, load-bearing equipment racks, and other quality-of-life improvements. Eagle Base has a dining facility that is open 24 hours daily. Specific meal times for breakfast, lunch and dinner reflect only the main line times. A contractor provides laundry services. Team members turn-in clothes in laundry bags and can expect a 2 day turn-around. The service is free. There is a nearby shop that presses uniforms for a small fee. A gym with weights, Stair-Stepper, stationary bikes, treadmills, ping-pong, billiards, and a basketball court is available from 0500-2400 daily. A running area near the airfield has mile markers along the paved surface. Chapel services are available throughout the week serving all faiths. The American Red Cross (ARC) is also available 24 hours daily. In addition to the customary support operations of the ARC, a video library and paperback book library are available. Movies are shown Monday through Saturday from a VCR at a small theater in a modular unit (Figure. 10). Price of admission is free. 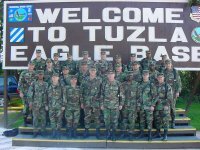 Occasionally traveling USO and other road shows perform at Eagle Base and the other installations. Commercial food outlets are also available including Burger King, Anthony's Pizza, Robin Hood Sandwiches, and coffee shops. The PX also has food items available. 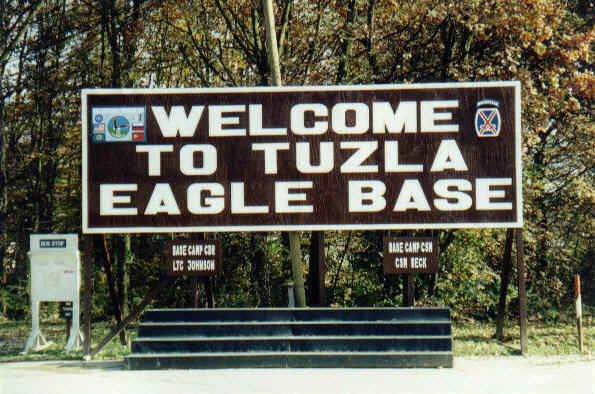 Steel Castle Base (Tuzla East), which was the home of the 1st Armored Division Engineer and Division Artillery, was built on a grass airstrip by the Red Horse Squadron. Construction began on 14 January 1996. 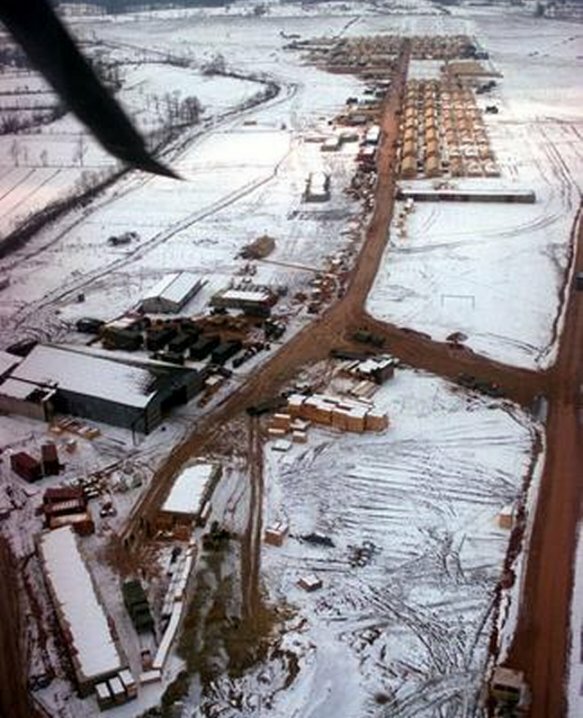 Built on a grass airstrip, the camp had less than ideal soil and hydrology conditions, but did have stabilizing vegetation. 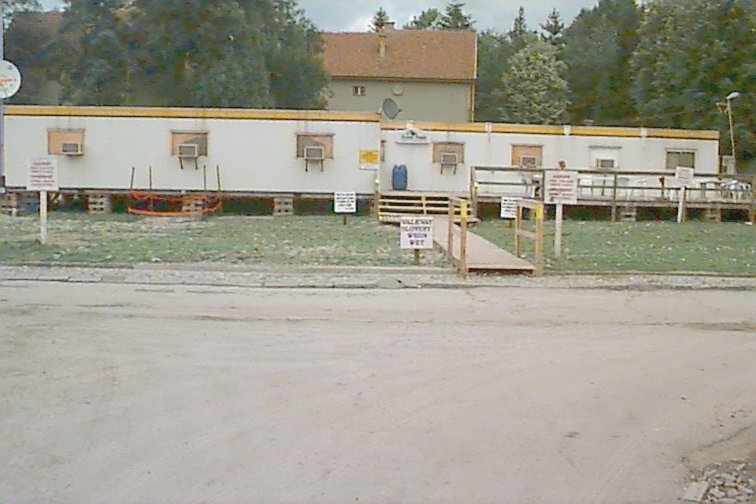 Extreme care was taken during site preparation to construct gravel roads and service access and provide container staging sites before moving Force Provider modules into the site. Construction began on 14 January 1996. The first of two modules arrived on January 23, and the last of the six modules (two for each camp) arrived by ground at Steel Castle Base on January 31. 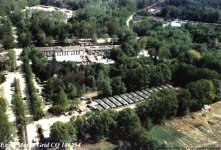 Unlike the other camps, it was decided that Steel Castle would be powered by the 249th Engineer Battalion (Prime Power). Close coordination with the prime power team ensured that their four 750kW generators were included in the camp design. 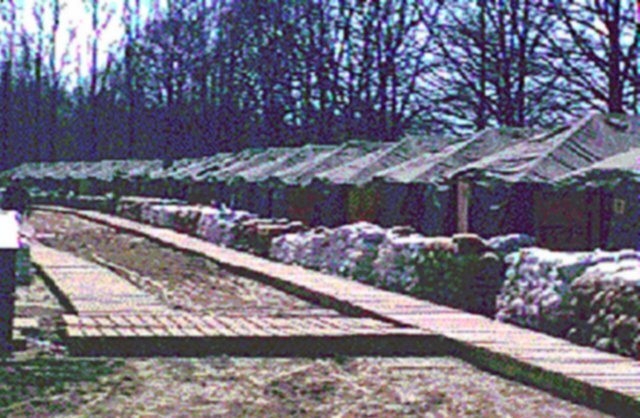 Innovative procedures for laying power cable for this 1,700-soldier camp were developed to work around the Bosnia curse of mud and muck. As with the other camps, the Force Provider 20-foot ISO (International Organization for Standardization) containers were used to supplement the camp's force protection measures. Being within a few kilometers of the Zone of Separation between Bosnia's warring parties underscored the importance of force protection. Containers also were sited for use as storage and administrative space. As in the case of the other two camps, space was provided for MWR, chaplain, medical aid station, and exchange functions. Steel Castle Base was completed by the Red Horse Squadron on 16 February and was ready for initial occupancy on 19 February.